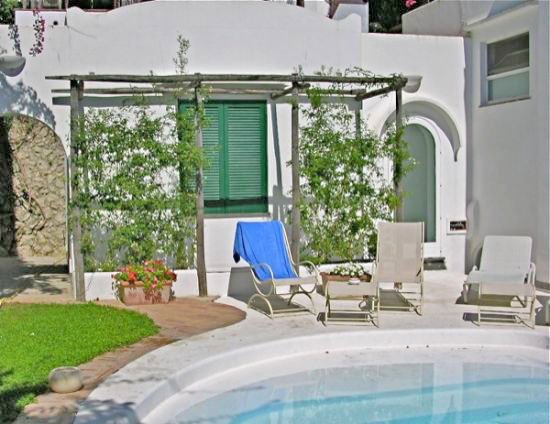 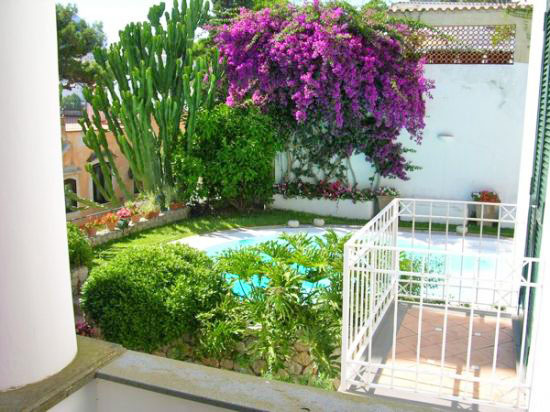 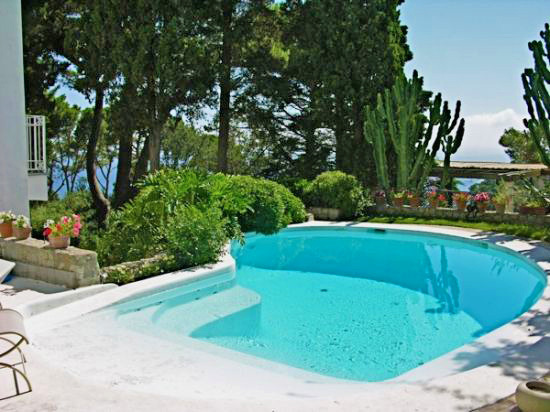 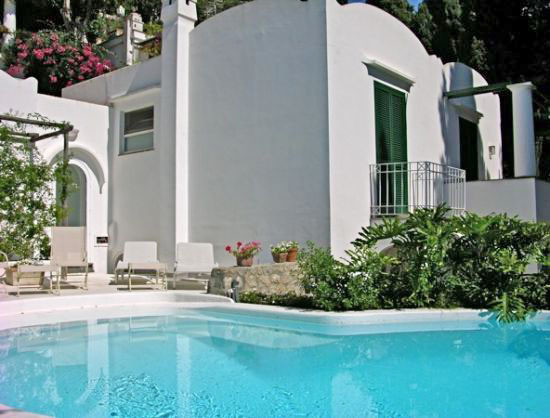 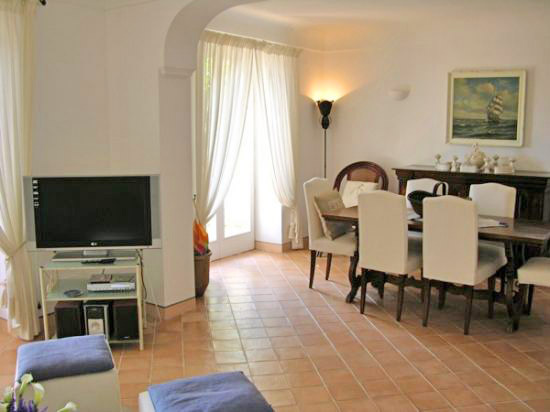 Villa Camerelle is a comfortable location to be in Capri. 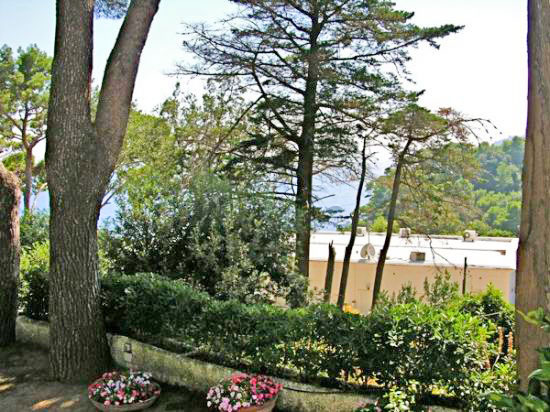 Known for its slopes and endless steps, this vip isle is not always easy to live. 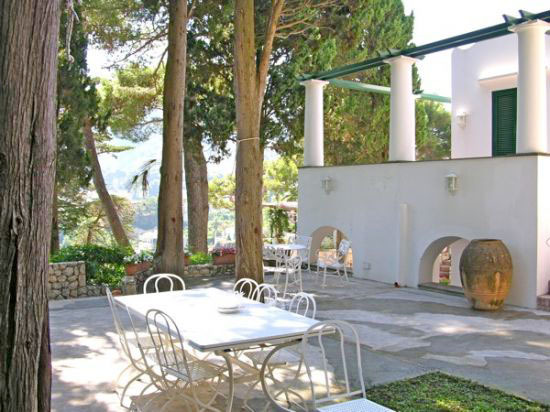 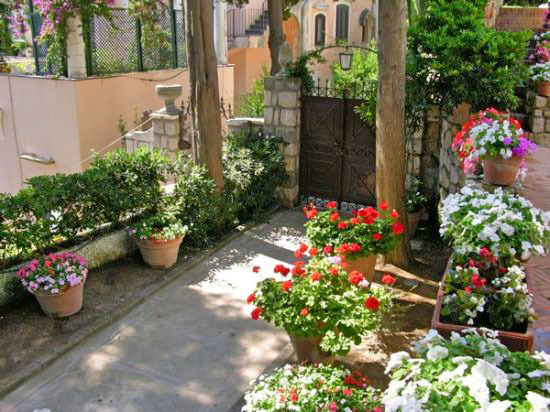 The elegant and easily accessible Villa Camerelle is just at less than 10 minutes walk away (but no steps!) 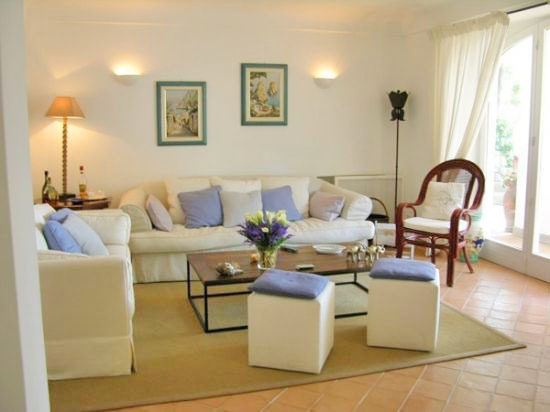 from Piazzetta and less to stores, restaurants, and bars and overlooks the Marina Piccola Bay. 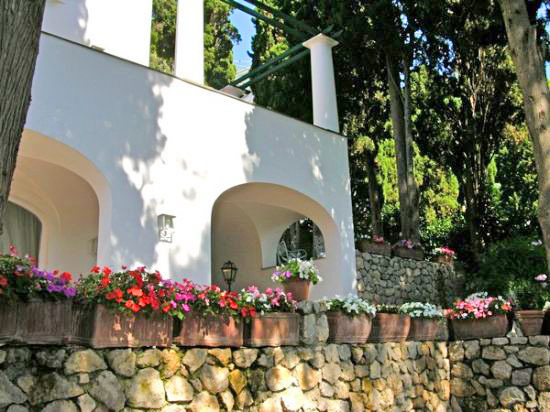 The Villa is located in the middle of the famous Certosa di San Giacomo (Charterhouse of Saint James) , the via Camerelle (the street of the most important luxury fashion store) and Via Tragara (a panoramic road with amazing views on Faraglioni and the sea). 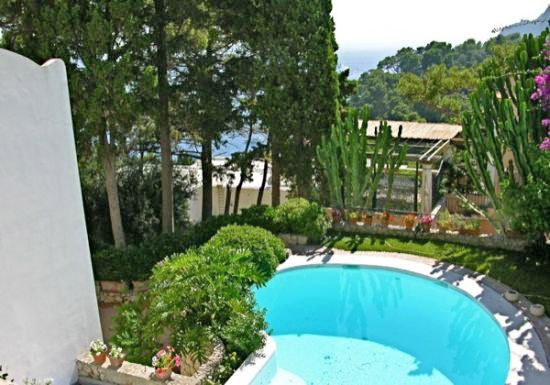 It is surrounded by a 1000sqm garden where takes place a private pool, a stylish outdoor lounge and a dinner area. 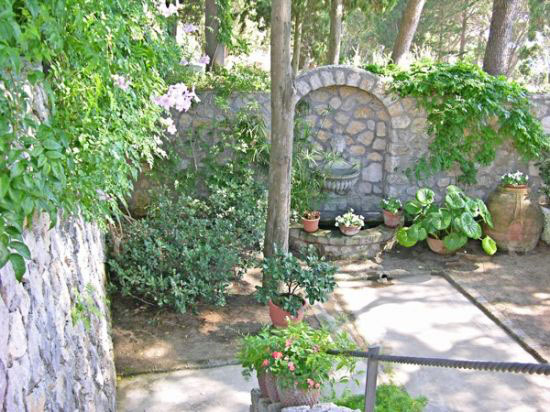 Close to the gate there is an antique stone fountain. 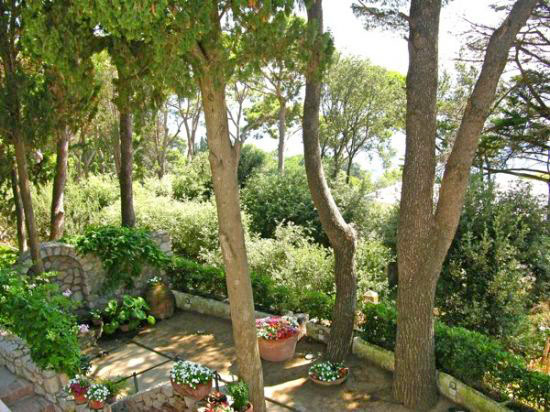 The garden is based on more levels, with three terraces, all with wonderful views on the Capri landscape: pine trees, sea, white houses and the rocky ridges. 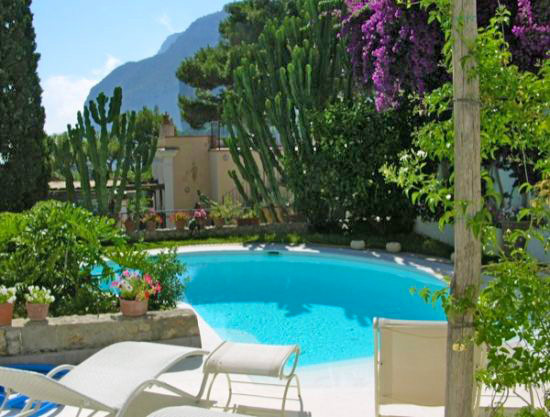 The villa is decorated with impeccable taste with the typical shapes of the Capri isle and offers every modern amenity, combining interior luxury with al fresco beauty. 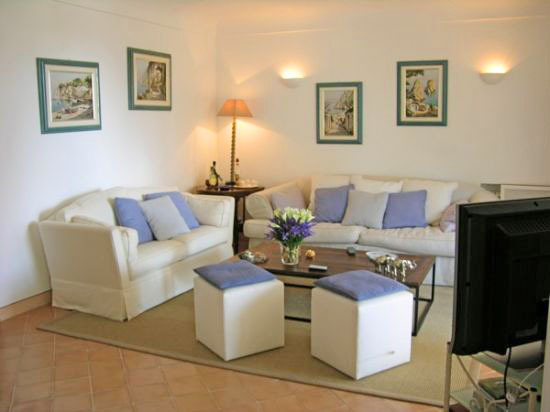 The house has a fully-equipped kitchen and an elegant living/dining room that leads directly to the outdoor lounge and the dinner area. 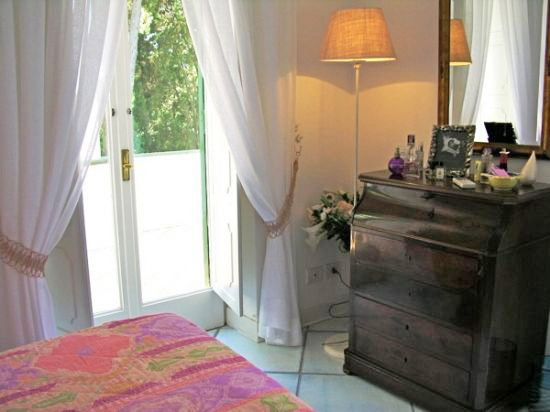 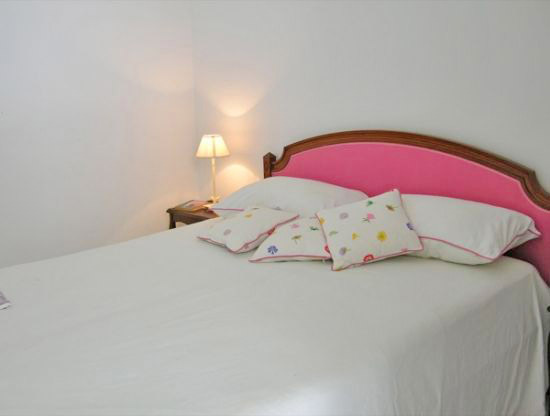 There are also two queen bedrooms with spectacular sea views and 2 single bedrooms, 4 bathrooms. 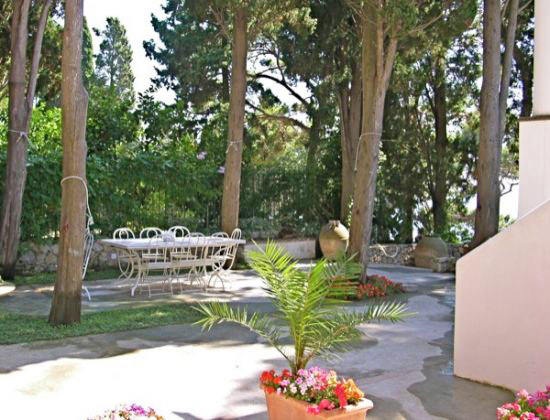 The terrace garden is highlighted by a beautiful outdoor lounge area, pizza oven, BBQ, and outdoor dining tables. 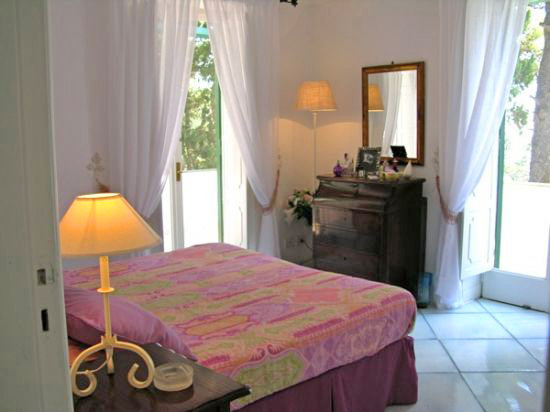 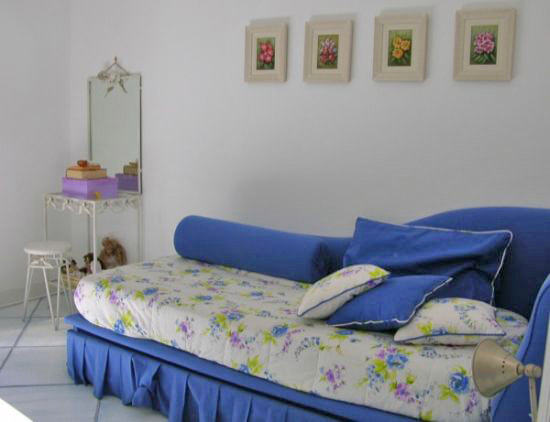 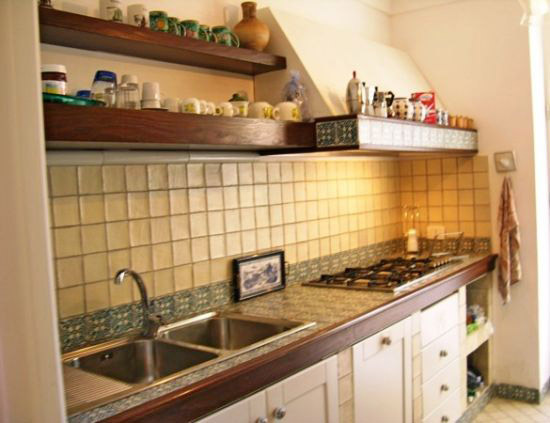 The villa is well-equipped to cater to your every need—with, TV, dishwasher, washing machine, stereo/CD, and telephone.